The remains of late Ibeh kelechi Assumpta, the 400L student of banking and finance, Imo state university who was shot dead whilst celebrating her 23rd birthday has been laid to rest Friday May 12th at Abakuru in Ohaji/Egbema LGA amidst weeping and wailing by family members, friends and students. 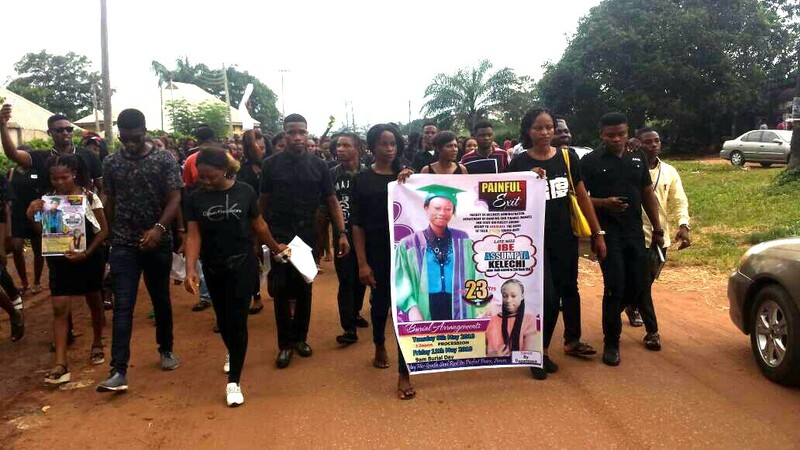 The out-pour of the grief which circulated to other faculties in IMSU saw Students board over 6 buses from the campus to the community to sympathies with the family of their late student who was described as humble, love-able and active in students' activities. 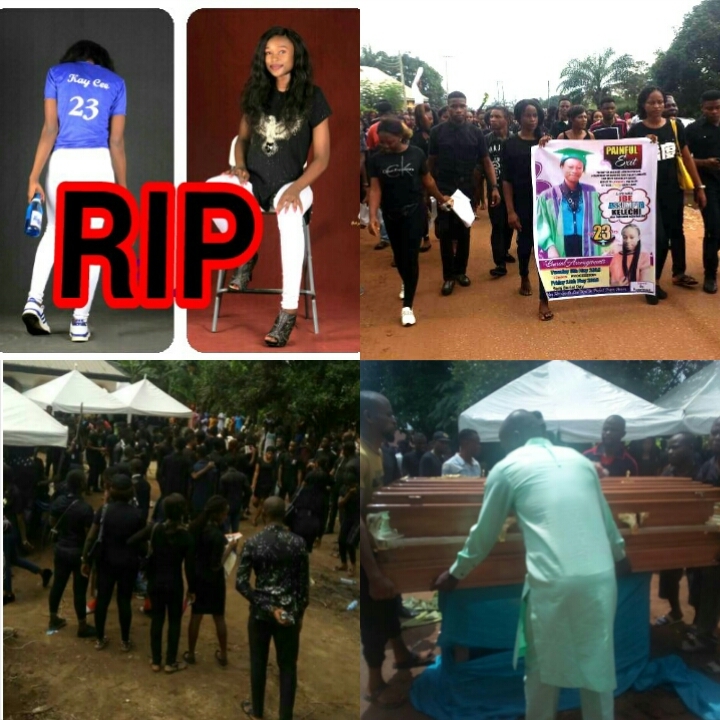 Recall that Late Ibeh kelechi Assumpta, a final year student who is expected to graduate by August this year was shot dead on her birthday by unknown men Wednesday 21st March at Douglas in owerri. The tragic death sent cold shivers down the spine of many as this was reciprocated in the massive turn out of students who wore customized t-shirts to accord her final respect. "We send our hearty and warmth condolence over the death of our colleague Ibeh Kelechi Assumpta, her death was a big shock to us and we are aggrieved knowing fully that our colleague is no more". 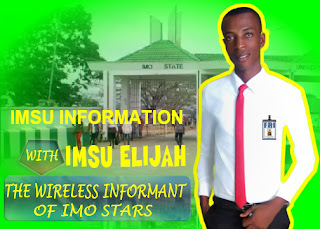 "We pray that God Almighty will grant the family of IBEH, the fortitude to bear this irreplaceable loss", he added.